At MEO, we strive to be the best in the industry in terms of safety, efficiency and reliability. 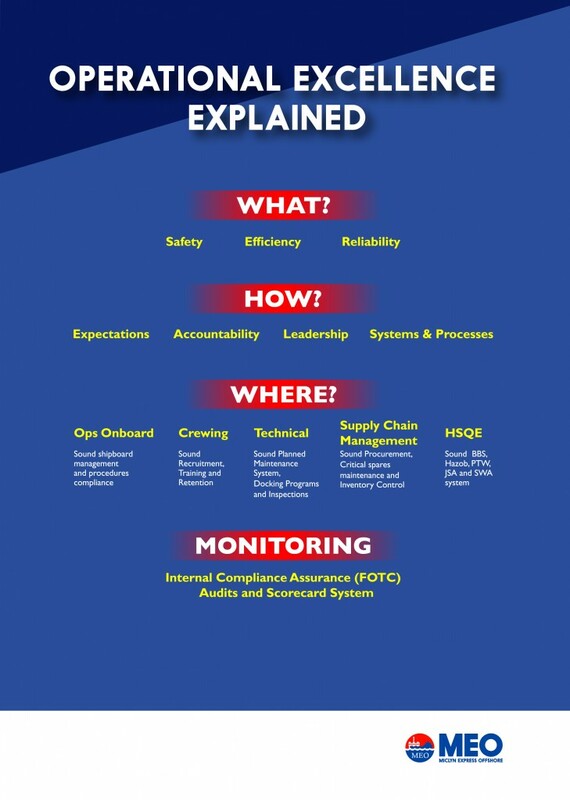 Operational Excellence is at the heart of our operations, across all levels of the organisation, involving the Management, Crewing , Technical, Marine Operations, Supply Chain Management and HSQE departments. It involves the setting of clear expectations under the professional leadership of MEO’s management team, with adequate systems and processes in place and the monitoring of results via MEO’s compliance assurance (FOTC) audits and scorecard system to ensure accountability.